Debt • Fate will be in the hands of creditors as they weigh reorganization plan. Francisco Kjolseth | The Salt Lake Tribune Lehi Roller Mills is struggling to pay workers, in what owner Sherm Robinson said is the aftermath of a complicated lawsuit he won but which he still has to collect from a judgment of more than $4.5 million. 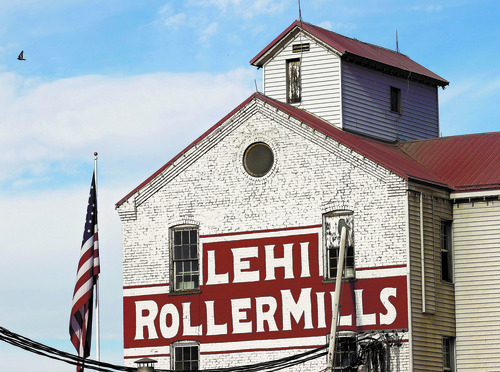 Paul Fraughton | Salt Lake Tribune THe Lehi Roller Mills in Lehi is an icon in art and film. Thursday, July 19, 2012 Paul Fraughton | The Salt Lake Tribune The Lehi Roller Mills in Lehi is an icon in art and film. Thursday, July 19, 2012 Paul Fraughton | The Salt Lake Tribune The Lehi Roller Mills in Lehi is an icon in art and film. Thursday, July 19, 2012 Paul Fraughton | The Salt Lake Tribune The Lehi Roller Mills in Lehi is an icon in art and film. 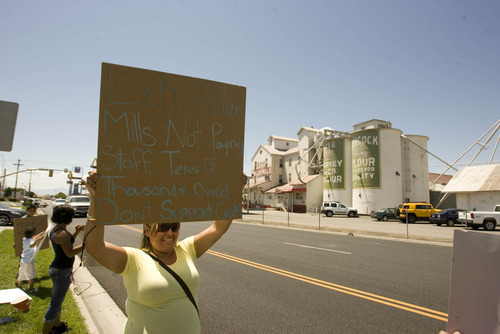 Thursday, July 19, 2012 Paul Fraughton | Tribune file photo Marla Rodriguez, whose husband works at the Lehi Roller Mills, holds up a sign at a small protest across the street from the mills by employees that claim they have not been paid for their work. 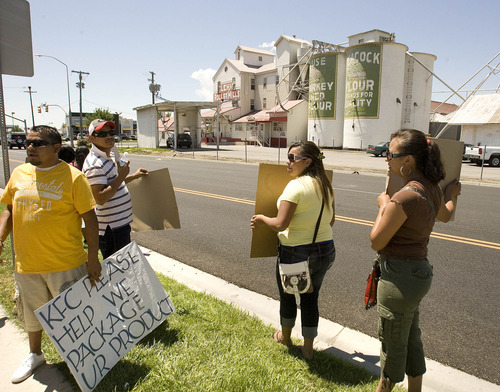 Monday, July 9, 2012 Paul Fraughton | Tribune file photo Employees of Lehi Roller Mills and family members hold signs at a demonstration across the street from the mill. Monday, July 9, 2012 Al Hartmann | The Salt Lake Tribune The 107-year-old mill, which provides flour to a host of clients, is at 850 East and Main Street in Lehi. 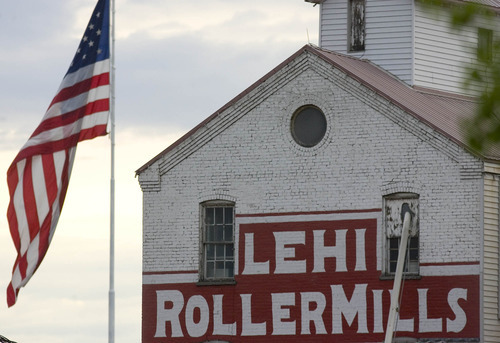 Financially troubled Lehi Roller Mills has filed for Chapter 11 bankruptcy protection  allowing the company to remain in business while it attempts to put together a reorganization plan to satisfy its creditors. The 107-year-old mill filed for protection in U.S. Bankruptcy Court on Dec. 6, leaving the company&apos;s fate in the hands of its creditors. Ultimately, they will decide if they can support whatever plan the company comes up with, or if they&apos;ll get more money by forcing the mill to close and sell off its assets. Roller Mills filed for protection "so we can put our financial house in order," company spokesman Rick Brown said Tuesday. "It means we can reorganize so we can be in a much better financial position. We&apos;re looking forward to a very good 2013 year." The company owes about $11 million to its largest 20 unsecured creditors, whose loans are not backed by any property interests, according to court documents. Of that amount, $3.5 million is owed to farms and businesses that have provided the mill&apos;s inventory, such as wheat, bakery ingredients and other food and shipping products. Attorney Rick Knuth, representing creditor Williamson Farms of American Fork, said he hopes Roller Mills &apos;&apos;can be reorganized in such a way that it accomplishes everyone&apos;s objective," including having his clients "paid what is owed to them." 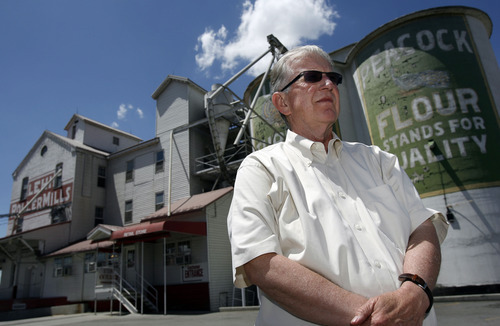 Roller Mills had been set to go on the auction block in late November to satisfy a $1.45 million debt to the Williamson family, a private lender that years ago also had supplied wheat for the mill. The bankruptcy filing staved off those foreclosure proceedings. Roller Mills has 15 days to produce a reorganization plan for creditors. Within the next 45 days, a meeting is expected to be scheduled, giving creditors an opportunity to question a company representative on the plan. The cash-strapped Roller Mills has struggled financially for several years. Its most recent woes came to light in July, when several workers staged a street protest to call attention to the fact that they and other employees had missed several paychecks. That same month, the Labor Department filed a complaint in U.S. District Court for Utah seeking for a time to force the company to halt all shipments to its customers  including Kentucky Fried Chicken, which has been purchasing flour since the 1950s. The back wages were eventually paid. Some customers such as Winco, Walmart, Costco and Winn-Dixie Stores have dropped the cash-strapped mill because of delayed or unfilled orders. But Associated Food Stores, a cooperative of 400 independent grocers that includes Harmons, has remained a buyer. 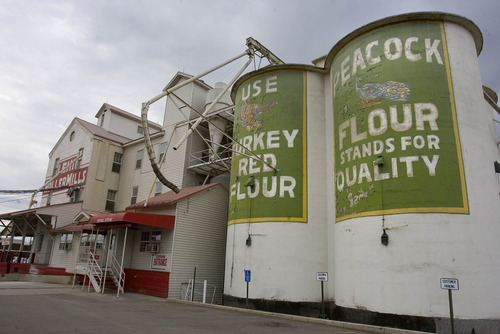 The flour mill, whose distinctive architecture made it an icon in art and the film "Footloose," is at 850 E. and Main St. in Lehi, where it also sells goods to the public. "The Roller Mills is a landmark and an important piece of history for Lehi, Utah County and the whole state of Utah," said Lehi Mayor Bert Wilson. "I&apos;m hopeful something can be worked out, because [they] got hit with things that were out of their control. I don&apos;t want to see us losing the Mills." 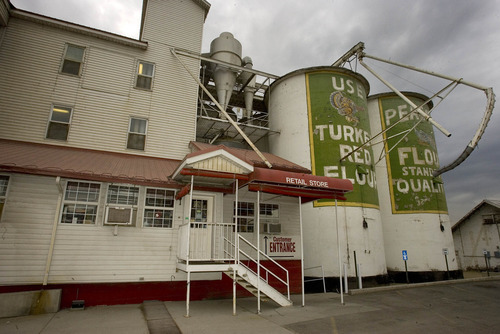 Roller Mills owner Sherm Robinson has said that debts have been piling up since 2003, when federal officials launched an investigation into an Ogden feed lot and a former Mills&apos; customer. Even though no charges were filed against the Mills, the company was forced to notify banks of the investigation when asking for business loans. Robinson said he was unable to secure financing until America West approved a loan, but in 2009 state regulators closed the Layton bank, effectively freezing the Mills&apos; assets, leaving the company with no collateral to obtain a loan elsewhere. The company did not qualify for a U.S. Department of Agriculture loan because it is within the populous Wasatch Front. Roller Mills had to make do with a purchase-order loan at an interest rate of 35 percent that wiped out profits and ate up operating cash. With so-called asset financing  nicknamed Pay Day lending for businesses  Robinson said he could obtain working capital only for orders already sold.